Parents: Please keep this paper in the orange folder. Remember to visit our class website to check what’s happening in our classroom ☺ Please contact me with any concerns or questions! Due to snow make up days, we will have school on Monday, April 22nd. Parents: Please initial your child's homework sheet and return it to school tomorrow. 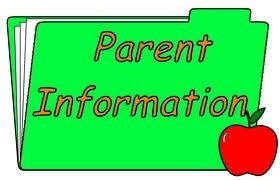 Remember to visit our class website to check on class information J Please contact me with any concerns or questions!